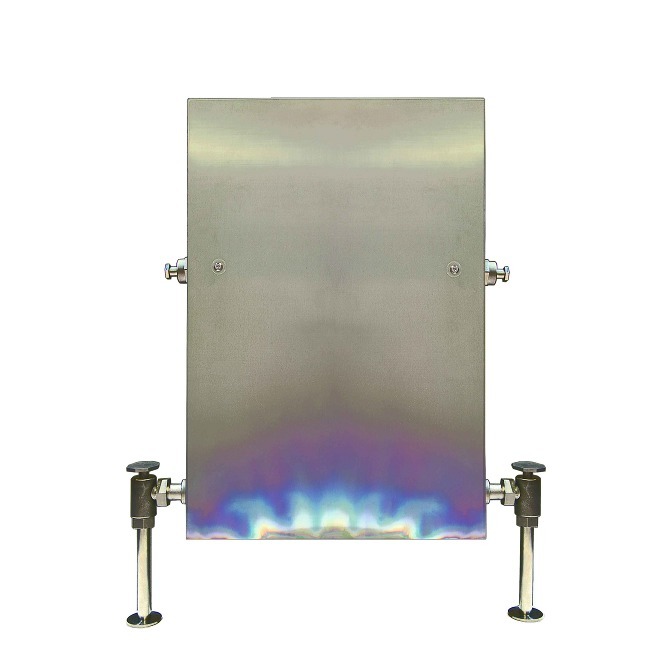 ﻿﻿Nova is a radiator-heating unit, mostly built by titanium and aluminum. 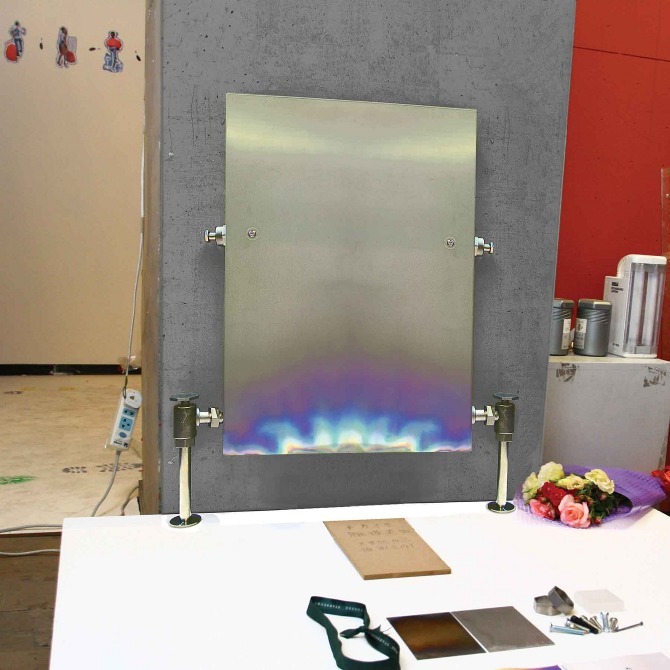 It is a design that intends to manifest a story of heat and visualize the concept of energy. The surface of the heater would constantly interact with the growing heat from the bottom, and it would accumulate and record itself with the natural pattern of the expanding heat on the outer surface of the heater. The marriage between the functional element and its material feature creates an intriguing juxtaposition of the object. The color of the growing pattern is naturally formed by interactively grown heat with the material and this shows the visualisation of energy.